I recently ordered a mug from Very.co.uk and here is my review of the service complete with a photo of what I received! What I should have done was researched how bad the service is by Very. No matter how good an offer it’s not worth taking if the service is terrible from the retailer. 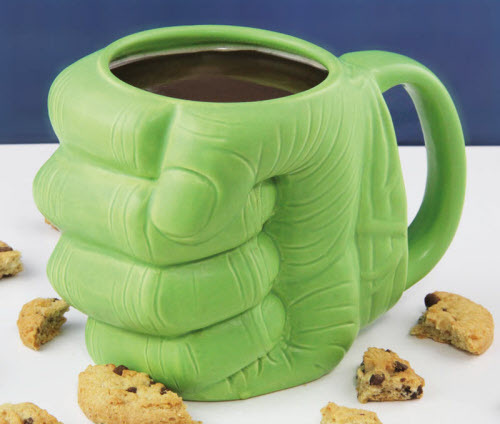 I ordered an Incredible Hulk mug to be given as a Christmas gift, this is how it is supposed to look. This is how it actually arrived. The photo doesn’t do it full justice of how smashed up it was. It was mainly broken in to 3 big pieces with hundreds of tiny shards. It looked like a Hulk smash had happened to it! When you buy things to be Christmas gifts for others it is even more disappointing when a retailer takes absolutely no care over your order. I understand there is always the chance of things getting damaged in the post. But it is fair to expect retailers to take the necessary precaution to minimize the chance of damage. Clearly, that was far too high of an expectation. When I pulled the mug from the box it was only wrapped in a very thin white material, hopefully you can make that out from the photo. That offers literally no protection with this sort of product. To say it’s obvious that this needs bubble wrap is an understatement. 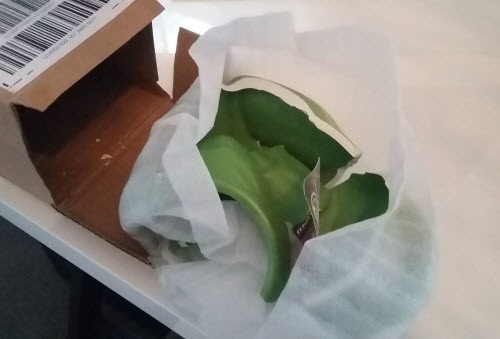 Once they’d wrapped the mug in its thin white material they then thought it would be a good idea to pack it in a really thin cardboard box that also has absolutely no protection. The fact they think this is sufficient packaging is impressively bad. To really go for the full “how badly can we smash this thing” attempt they sent it by Yodel. Not exactly known for being the best courier out there. Don’t get me wrong I know they are a budget option and so you expect the level of service that comes with being the cheapest. But if you are sending by Yodel it gives even more reason to take care of the packaging. Free returns are available so I have returned the mug in its original packaging. You don’t get to select whether you get a refund or a replacement, that’s very frustrating! If they send a replacement and pack it in the same way then I’ve no idea what I will do. Fair to say I wouldn’t recommend you use them to buy stuff from because this shows how much care they take. You may be absolutely fine with other goods that can’t be damaged, like clothing, but purely from this display of incompetence, I would highly recommend you stay away. This is a good lesson in why you should always read online reviews before purchasing from a retailer for the first time, I certainly wish I had. I am just one of many unhappy customers. Glance your eyes over at this Trustpilot rating, that is truly miserable! To score 2.4 out of 10 from over 9,000 reviews says it all! Use them at your own risk.